A growing vulnerable population who have escaped poverty, but have not achieved middle class status. 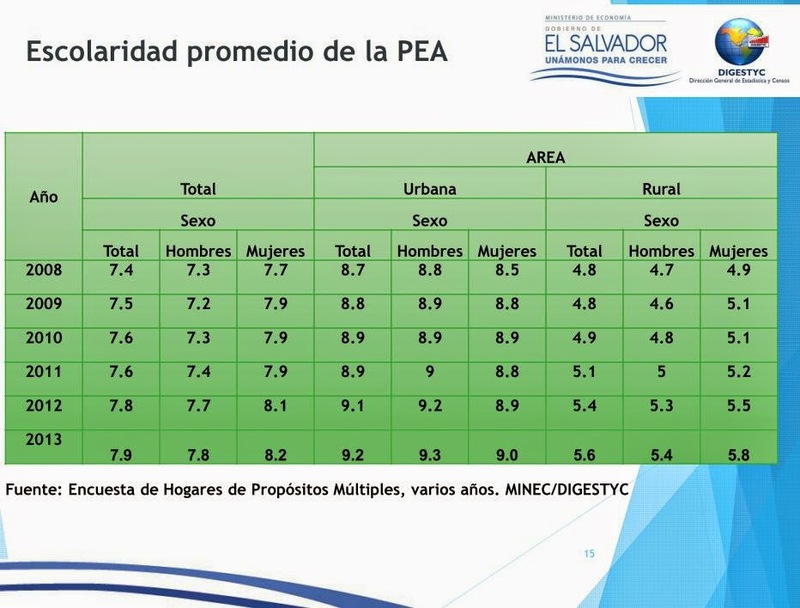 The first set of charts comes from El Salvador's annual national multi-purpose household survey. Average numbers of years of school completed reached 9.2 in urban areas, while only at 5.6 years in rural areas. Illiteracy has declined to 7.6% in urban areas and 18.9% in rural areas. The number of households with access to piped water has steadily increased to 94% in urban areas and 72% in rural areas. While El Salvador has made progress in reducing the level of poverty in the country, the middle class has actually shrunk. What has grown is an economic class which the UN Development Program calls the "vulnerable" class: households which live just above the poverty line and are constantly vulnerable to the impact of a bad harvest or a natural disaster or illness. This chart from the UN Development Program, shows the distribution of economic classes in countries in Latin America, from poor (less than $4 per day) to vulnerable ($4 to $10 per day) to middle class. In El Salvador, the middle class is only 1/6 of the population, while 83% of the country is poor or vulnerable. Only Honduras, Guatemala and Nicaragua have smaller middle classes. 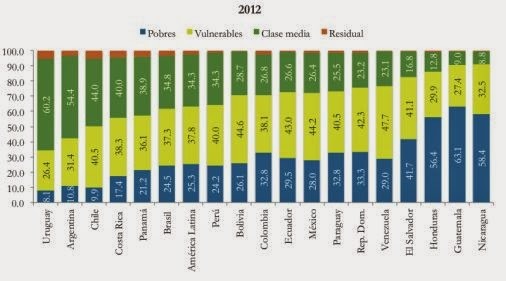 Otto Rock produced this chart from the UN data showing which Latin American countries grew their middle class and which had a shrinking middle class. 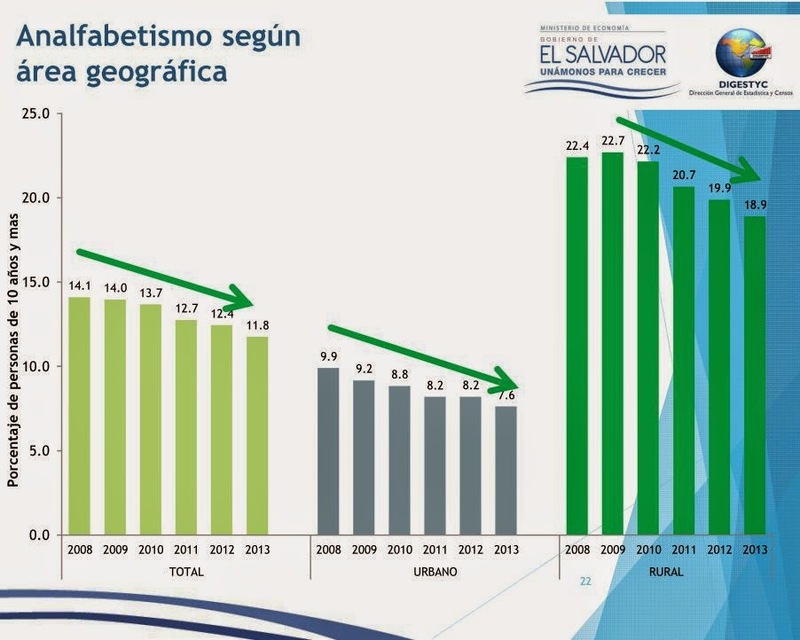 El Salvador's middle class has actually shrunk by 1.8% between 2000-2012. 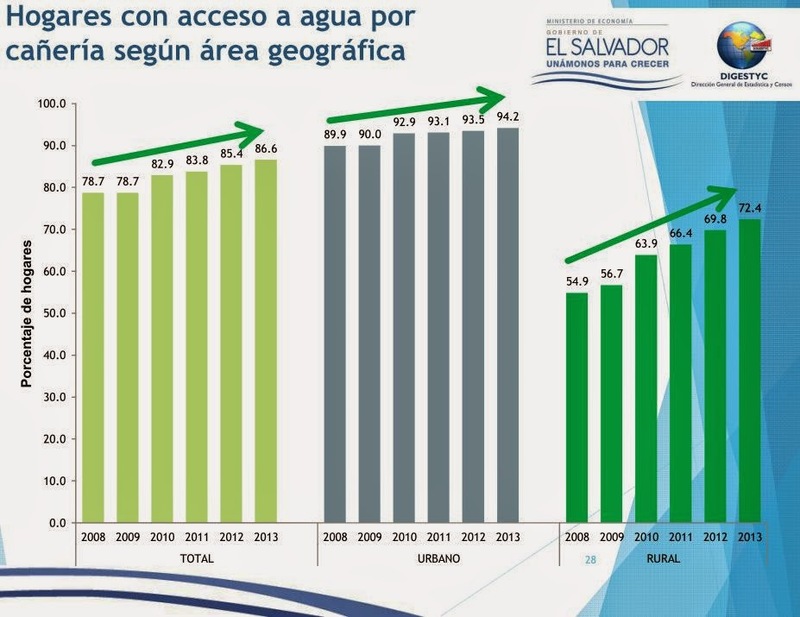 In an address after receiving the UN Human Development Report, president Salvador Sanchez Ceren, pointed to the increase in average household monthly income and the drop in illiteracy which he attributed to the free school packets program started under the administration of Mauricio Funes. Sanchez Ceren went on to list all the ways in which his government hoped to promote improved economic and security conditions in the country. 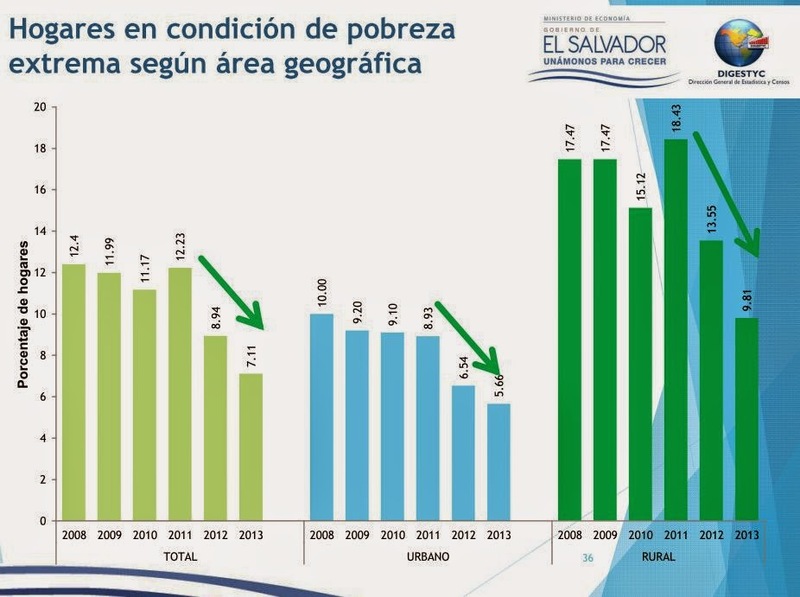 When I look at these numbers, I find it hard to give any credit to any Salvadoran government for reducing the level of poverty. The reduction in poverty is most easily explained by the impact of remittances. Remittances from Salvadorans outside of the country dwarf the impact of any government anti-poverty programs. The $4 billion in expected remittances for 2014 equals roughly $1.80 per day for every man, woman and child in El Salvador. Remittances can't create a middle class, however. Only investment in people and true job creation can do that.